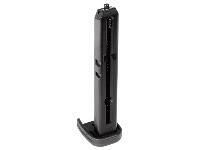 Highly realistic and suitable for maintaining firearm proficiency. But you'll want to pick this up for more than just that. 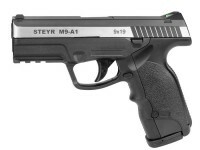 A fun gun to shoot in the basement or backyard. 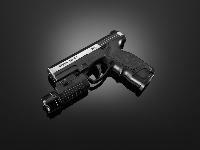 BBs can ricochet, so always wear safety glasses when using this BB gun. 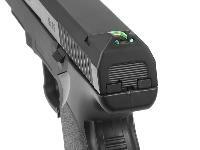 Everyone on the range, even if they're not shooting, should also wear safety glasses since BBs can ricochet at angles. All pets should be removed from the area to prevent injury from BBs that bounce back. Ricocheting BBs still have sufficient energy to cause serious injury. Things I liked: Really had high hopes for this pistola. It has great looks and a great feel. 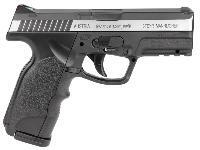 Awesome sights, good ergonomics, excellent gas consumption and a simple efficient magazine. Which has a lock out point in its travel. This makes loading 19 tiny BBs very easy. On my other guns you have to hold the spring constantly while trying to fill the magazine and it tends to spill BBs all around. A simple yet easy feature to build into a new design. Things I would have changed: From the first shot this pistol is about as accurate as a rubber band gun. I am sure it is a manufacturing defect. I thought about complaining and exchanging it for another. But instead I handed it off to my nephew who doesnt have the skill to see how this falls short. As he gets older I will give him a really nice airgun. Even after I slipped on a laser dot I could not achieve consistent repeatable hits. Some were literally arcing through the air at a target 15 feet away. Beyond 20 feet you might as well throw rocks. Again it could be a bad unit but I think they cu too many corners keeping the price so low. 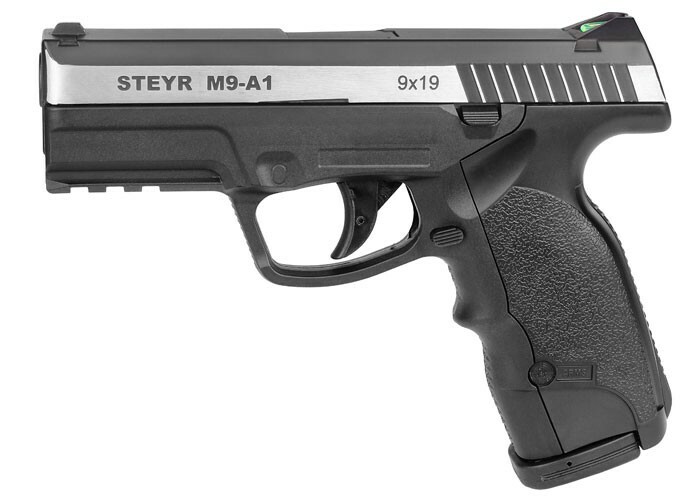 What others should know: After trying several brand new handguns a SIG, a Tanfoglio and the Umarex Steel Storm I have to rank this unit at the bottom of the list. It could use a few more ounces in weight. It also would benefit if it was a blow back action. Once you have tried one of those you cant go back. 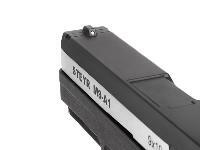 Is the slide metal where is steyr made? 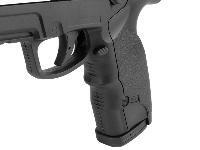 The slide is made of metal, the pistol is made in Taiwan. 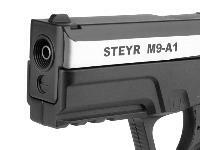 It is a licensed product from Steyr of Austria.